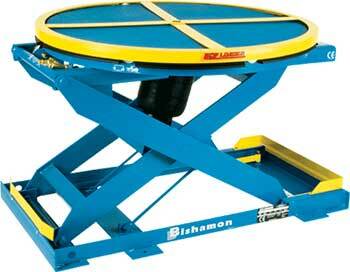 Bishamon EZ Loaders are designed to eliminate worker bending by automatically raising and lowering pallets during loading or unloading without the use of mechanical springs. The Southworth Pneumatic PalletPal is designed for use where pallet loads vary widely and are changed frequently. 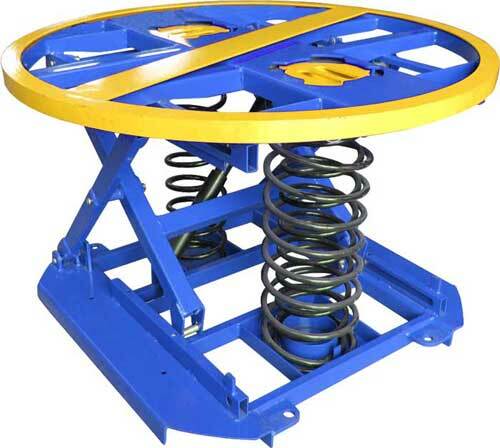 The airbag spring combination provides virtually linear response. Load and unload pallets without stooping, stretching or walking. The P3 Pallet Positioner automatically maintains pallets at a constant level and comfortable working height as layers of boxes are added or removed. 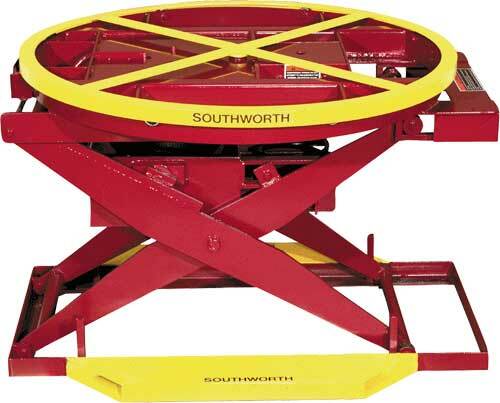 The Southworth PalletPal 360 Spring Actuated Level Loader is a simple, automatic unit that uses a system of springs and shock absorbers to lower and raise loads as boxes are added or removed from pallets. 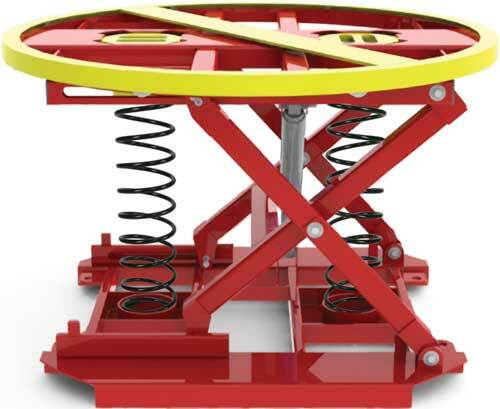 The spring level loader is an economical solution for pallet building and work positioning for many applications. 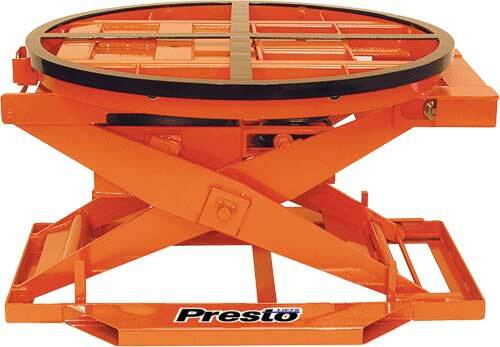 Requiring no power, the positioner comes with three springs for maximum load weight leveling.